This is DPI’s Gen IV Accusense Intelligent battery charger. 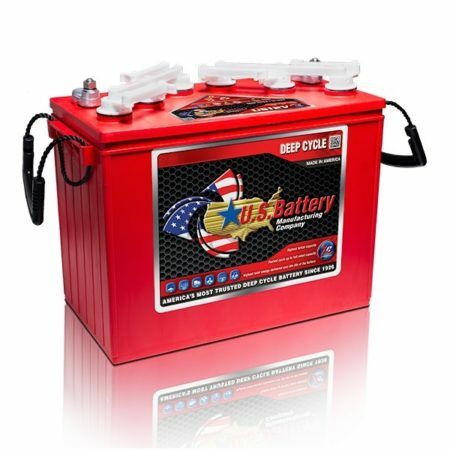 Powered by a smart, microprocessor-controlled, multi-stage charge algorithm for various lead-acid battery types used in golf carts and other electric and industrial vehicle applications. The new Gen IV design allows for interchangeable output cables. Now with DC powered Micro-processor to allow for true storage mode. Please be sure to select the correct cable for your application when placing an order for this product. BatteryPete is proud to bring to you quality products. This 48 volt 17 Amp Accusense Intelligent Golf Cart Battery Charger is perfect for your golf cart batteries. Designed to be used on any 48 volt golf cart battery system. Now with DC powered Micro-processor to allow for true storage mode. (Allows charger to turn itself back on every 28 days to top off the charge on your golf cart batteries.) Whether you own a Club Car, Ezgo, Star car or Yamaha Golf Cart. Choose the connector you will need from the images herein and the drop down menu at checkout. DPI’s 48V/17A Gen IV Accusense Charge® Intelligent Battery Charger is powered by a smart, microprocessor-controlled, multi-stage charge algorithm for various battery types used in golf carts and other electric or industrial vehicle applications. Weatherized construction ensures reliability. Our 48V/17A battery charger outperforms tapered-type chargers rated at 35A! Patented selector and downloadable custom algorithms allow user’s to charge most every battery type. ALL DPI Chargers Come With A 2 Year Manufacturer Warranty! 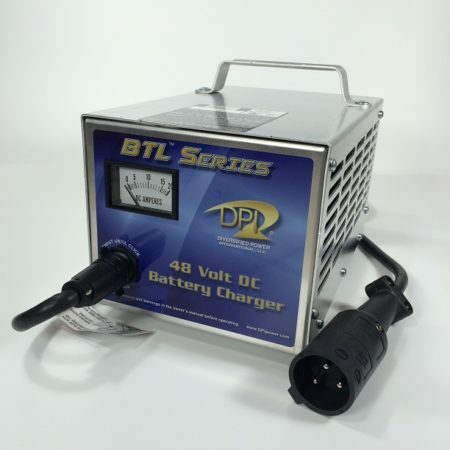 Be the first to review “48 Volt Golf Cart Battery Charger DPI Gen IV” Click here to cancel reply.